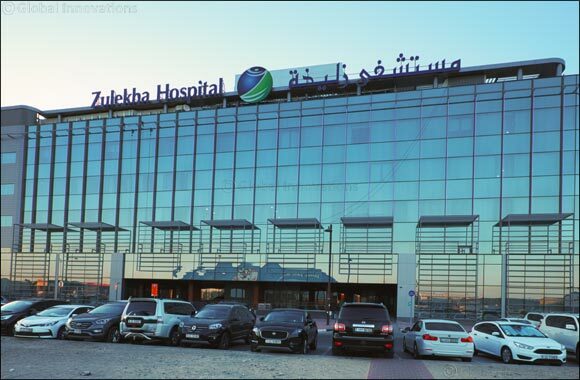 Dubai, United Arab Emirates, 19 March, 2019: Following the opening of Zulekha Hospital Dubai’s new facility this year, the healthcare group has announced the addition of an open heart center at the new facility. The Cardiac Center of Excellence now offers comprehensive end-to-end cardiac care and is equipped to facilitate high-risk treatments. According to the World Health Organization (WHO), Cardiovascular Diseases (CVDs) represent 30% of deaths in the UAE. The UAE Vision 2021 outlines a reduction in the number of lifestyle diseases such as CVDs to ensure a longer and healthier life for its citizens and residents alike. Zulekha Healthcare Group is facilitating the realisation of the national goal through its innovative and affordable cardiac solutions. The cardiac center offers valve repair and replacement, repair of septal defects - holes in the heart and complex treatments such as Coronary Artery Bypass Grafting (CABG) to improve blood flow to the heart. This is one of the few facilities with both medical and surgical interventions under one roof and the only private facility with two catheterisation laboratories available. The group reports seeing a rise in cardiac patients with hypertension as the single biggest medical problem reported at Zulekha Healthcare group showing a 13% increase year-on-year from 2017 to 2018. The second most common issue being hyperlipidemia, however, hypertension still remains more prevalent by 29%, thus, highlighting the urgent requirement for advanced cardiac facilities in the UAE. The center will be one of a few offering end-to-end cardiac treatments in the UAE and will prevent cardiac patients from having to travel long distances for such treatments. The group has been consistently offering free health checks and hosting wellness initiatives under their campaign “No More Excuses” for communities in the UAE with an aim to educate the community on early detection and prevention of cardiac diseases. Zulekha Health Group also prioritises providing support services including nutritional counsellors, psychological counsellors and a team of dedicated professionals for follow up care actively involved in the patients’ recovery. In 2018, the group also launched “Nabd-Al-Khair” - “The Pulse of Goodness” – an AED 10 million dirham initiative to support the needy who cannot afford high-end medical treatments in the UAE, along with Dar Al Ber Charity Society. The initiative has funded 14 high risk patient treatments so far.